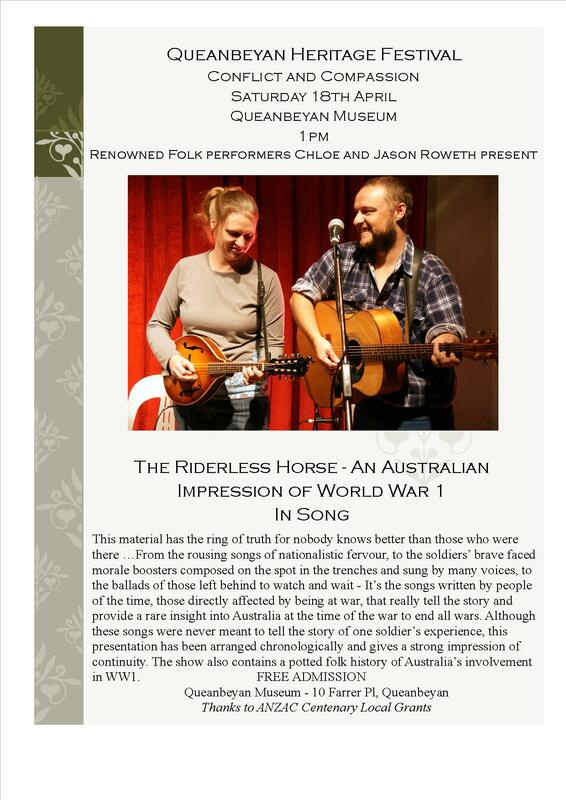 In commemoration of the ANZAC Centenary we have a treat for you with the performance of The Riderless Horse – An Australian Impression of WW1 in Song by Chloe and Jason Roweth at the Museum on Saturday 18th April at 1pm. Entry is Free. We were lucky enough to catch an engaging and lively performance from Chloe and Jason at the National Folk Festival held in Canberra over Easter. Jason was awarded the National Folk Festival Reciter of the Year Award.